A couple of years ago when I started my blog, I had the pleasure of writing one of my very first guest posts for Kwanzaa Culinarians, a blog that shares the unique perspective of various food bloggers of African descent and their distinctive views on Kwanzaa and its principles. Kwanzaa officially begins the day after Christmas, and I am so grateful to have the opportunity to share another recipe today for this blog that truly helped me start on my food blogging journey. This maple rum sweet potato cornbread recipe is the perfect way to celebrate all that Kwanzaa has meant to me since my youth. In the article I share some perspective regarding the Kwanzaa principle that I am definitely identifying with more and more, Nia (celebrated December 30), which means purpose. 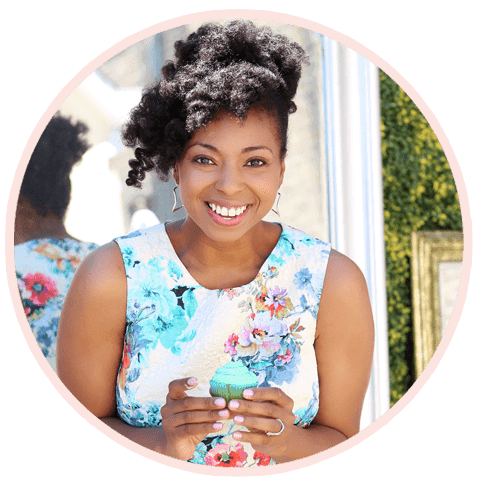 Since I began on this blogger path, I have learned so much about what it means to live and step into a purpose, even if it isn’t something that you originally saw yourself doing. However, once you find it, it fits like a worn sweater that has been your favorite for years. Even in the recipe creation for something as strange as maple rum sweet potato cornbread, I realized just how unique my food perspective is. 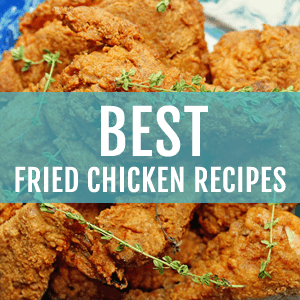 I see so much of my grandmother’s old fashioned influence tucked inside but I just adore my cooky modern remixes that give my recipes a flair uniquely all my own. I am grateful for the principle of Nia, and what it has really shown me about life, especially this year. To read more of my guest post and to get the recipe, please check out the article HERE. I am so excited to share it. And happy Early Kwanzza!! You had me at cornbread. How did I miss this amazing post?! 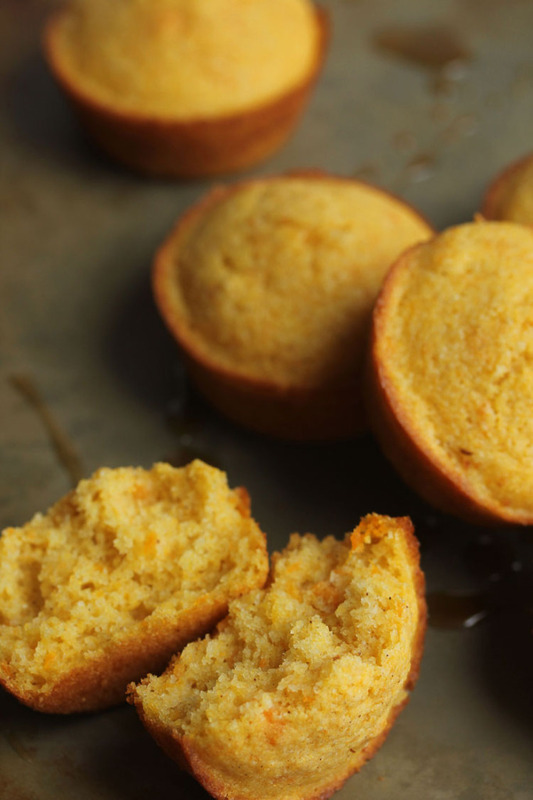 I’m such a sucker for good cornbread… loving the sweet potato maple rum twist!!! Same here! I love it sweet too! These look incredibly yummy! I just happen to have a bunch of sweet potatoes that need used up and this is perfect. 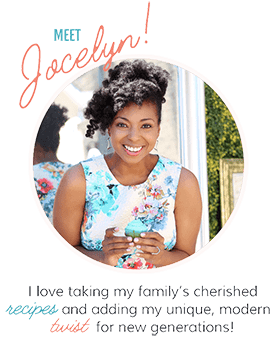 Thanks, Jocelyn! WOWWWWW!! These look amazing!! I seriously love sweet potatoes and I love corn bread, but I’ve never had the two together!! 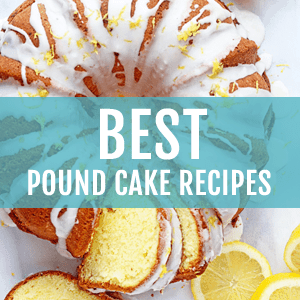 Seriously, great recipe! 🙂 YUM! Hooray thank you so much Cailee! can’t wait to read this post, J! love what you said about what it means to live and step into a purpose, even if it isn’t something that you originally saw yourself doing. . . heading over now! Hooray thanks so much Alice! Maple, rum and sweet potatoes are just a few of my favorite things. This is just awesome! Rum and maple? What a unique combination!! Heading over to read now. Looks delicious! Love the maple/rum twist and sweet potato, too? Sounds amazing! It is going down in my top 4 cornbread recipes hehe. Love, love it! Thank you for taking the time to share. Hooray thank you so much Velva! What a sweet and meaningful post, Jocelyn. I love the learning process as it evolves, and family influence is such an important thing. 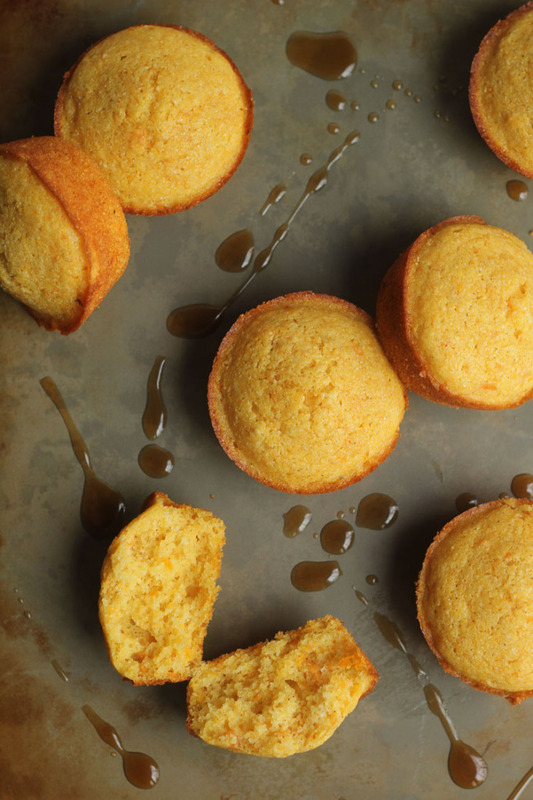 These cornbreads sound delicious – going to check out the recipe now! Hooray thanks so much Alyssa! this sounds incredible. 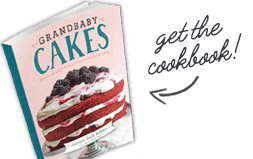 I love the influence from your grandmother in this recipe. Definitely always a work in progress. I totally agree! Yum, Yum, and YUM again! Purpose is so, so important in life. Thanks for sharing! Definitely have to head over and check this one out! Thanks so much Ashley! Purpose is so important! Cornbread is one of my favorite carbs. This version looks like a prime specimen. It’s allowed in my life with VIP status. Yep vip status all the way. You definitely have a style all your own, Jocelyn, and I love it! This sweet potato cornbread looks fabulous! Meanwhile, hell to the yes with this cornbread. Pinned! Awww grandmothers are the best Sarah! Thank you dear!